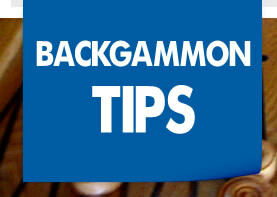 "The first backgammon tournament ever to feature a guaranteed $1 million in prize money!" 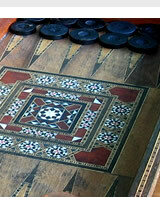 PartyGammon.com Million will be the first backgammon tournament ever to feature a guaranteed $1 Million in prize money! 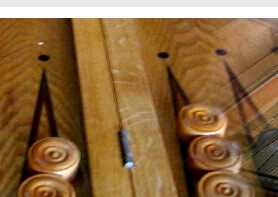 Partygammon.com owns and operates its own proprietary backgammon software, which enables the company to respond quickly to competitive challenges. PartyGammon.com is making history with the first backgammon tournament ever to feature a guaranteed $1 million in prize money! Qualify online exclusively at PartyGammon.com and you could win one of 64 tournament prize packages worth $12,500! Party Gammon is a part of Party gambling group which operates the largest online poker site: Party Poker. Since the Party Gammon software is newly released, there are of course some features that will need improvement to match it's competitors. Joining individual games in the lobby can be quite a difficult process as too many players try joining the same offered game at once, causing delays and messages indicating you were unsuccessful in your attempt to play. On the bright side, Party has learned through their experience with the poker software to keep their gammon games fast with all the necessary features like auto-roll and auto-bear off. This is a new backgammon software including many nice features, the graphics are nice and clear and the functionality is good. With the chat options, and clean graphics, Party Backgammon is a nice place to play online backgammon and we estimate it will grow to be the biggest online backgammon site. Every so often, Party Gammon will give you cash bonuses on top of your deposits. You'll find special bonus codes in our emails and on the site. Remember, you can get up to an extra 100% in addition to your deposit with the bonuses, so be sure to keep an eye on what's going on. Cashback offers are also available. This is an unbeatable offer for new and regular players alike: You'll get up to 20% of you deposit back if your account balance falls below $5 during the specific promotion periods. Multi-table tournaments start for as low as $2.50 currently ranging up to $25 buy-ins. The tournaments are held sporadically throughout the day, at approximately one hour intervals. While the attendence of these events remain low for the time being, the popularity of the Party Gammon software is on the rise and expected to surpass the number of players at other competitors. It's easy to find a game at Party Gammon due to a huge player base already developped from their poker and casino software. Anyone already playing at Party Poker, which is a lot of folks at about 200,000 a day, can log in to the Party Gammon software using their same poker balance and account. 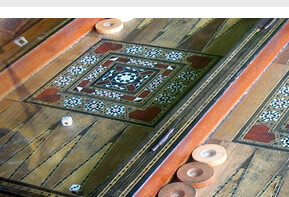 This combining of games on the party platform also allows for many non-backgammon players to wander into the room looking to try it out, meaning some weak competition is available. You will get up to 20% of you deposit back if your account balance falls below $5 during the specific promotion periods.